The OC Center for Facial Plastic Surgery offers a variety of top-of-the-line skin care products that can revitalize your skin and reduce the appearance of sun damage, acne, and other blemishes. As an extensively trained facial plastic surgeon, Dr. Ali Sepehr can help you make your skin smoother and healthier with customized skin treatment plan designed just for you. The product lines we carry are medical-grade and are made to help you replenish healthy skin on a cellular level, improving tone, texture, and strength. With prescription-strength skin care products, you improve the look and feel of your skin and attain a healthy, youthful sheen. Please contact The OC Center for Facial Plastic Surgery for more information on skin care products available at our practice. A medically-supervised skin care program gives patients access to products that are stronger and have more effective ingredients than are available over-the-counter. Photodamage and premature signs of age such as wrinkles and brown spots can be remarkably improved with Firm and Fade cream. This advanced skin care solution penetrates deep into the skin to provide a tighter and smoother texture. 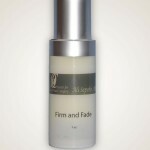 Firm and Fade also balances and evens skin tone while accelerating the growth of healthier skin layers. With Firm and Fade as part of your regular skin care regimen, you can help your skin to achieve a more youthful and radiant complexion. 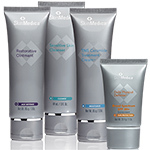 SkinMedica®contains a number of restorative ingredients that have proven to renew the skin and reduce the signs of a number of common skin conditions. This advanced product line can diminish the appearance of fine lines, discoloration, and ages spots while working to enhance the skin’s texture, elasticity, and tone. Essential Defense Mineral Shield SPF 35 – this hypoallergenic sunscreen provides the highest level of defense against UVA rays available. 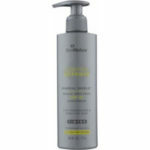 It also offers vital UVB ray coverage for comprehensive skin protection without clogging pores. Oil-free and fragrance-free, the serum can be excellent for use on sensitive skin types. 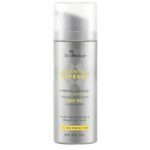 Essential Defense Mineral Shield Broad Spectrum SPF 32 (Tinted) – this slightly tinted formulation often works well for individuals with darker skin tones and provides the same level of intensive UVA and UVB ray protection as the SPF 35 sunscreen. 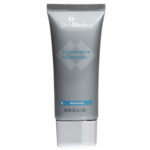 Offering all of the benefits characteristic of SkinMedica®’s Essential Defense products, this advanced sunscreen is hypoallergenic, oil-free, paraben-free, fragrance-free, and should not clog pores. Post-Procedure System – many of SkinMedica®’s products can be beneficial for patients who are undergoing laser skin resurfacing or other skin rejuvenation treatments. The Post-Procedure System includes a number of creams that can help the healing process and even enhance the results of a cosmetic enhancement procedure. Lytera® 2.0 Pigment Correcting Serum – this versatile serum can correct hyperpigmentation, diminish the appearance of dark spots and blotches, and create a more even skin tone for individuals of all skin types. The formulation works well alone, or for the purpose of optimizing adjunctive treatment results, such as chemical peels, microdermabrasion, and more. SkinMedica® Rejuvenative Moisturizer – composed of a derivative of hyaluronic acid, this moisturizer can effectively rejuvenate, replenish, and nourish facial hydration for normal to dry skin types. The formulation works to optimize skin health when used alone, or as part of a wider skincare regimen.